In the 1930's Sears began building model homes in major metropolitan areas. The company believed that if potential customers could walk through models, they would be more inclined to purchase. Milwaukee had a Sears Modern Homes sales office, and this office built three models that we know of. The first two were built in 1931 in Milwaukee's Wilson Park subdivision. Part of an 1931 advertisement in the Milwaukee Journal. "Come out today--experience the thrills these new homes will give you." 3707 S. 19th St., Milwaukee. Photo courtesy of Heather Lukaszewski. 3757 S. 19th St., Milwaukee. This appears to be a custom design. Photo courtesy of Heather Lukaszewski. According to an article in the Milwaukee Journal, the larger house at 3757 S. 19th St.demonstrated "new ideas in home arrangement, equipment, furnishings, and color schemes". It was decorated using the new fall line of furnishings from the two Sears retail stores in Milwaukee. The interior decorator hired by Sears furnished eight rooms for $1600. State-of-the art features in the larger model included a milk receiver. 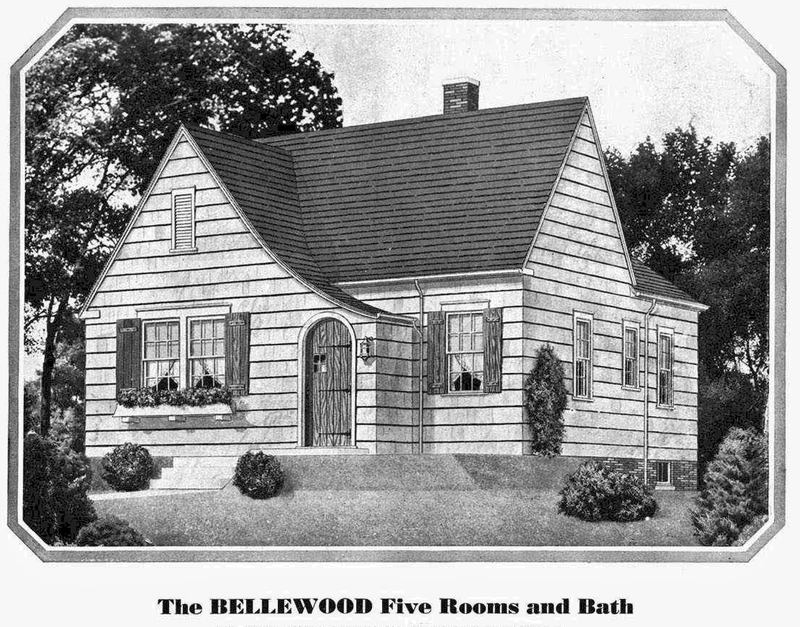 Sears built a third model home in 1937. 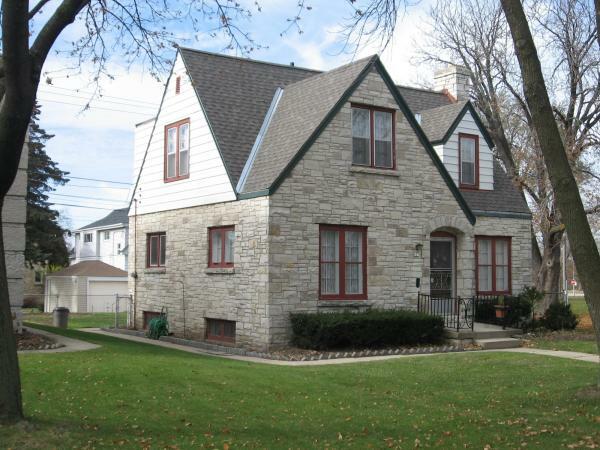 837 S. 76th St., West Allis, WI. This appears to be a custom design. Photo courtesy of the Wisconsin Historical Society. 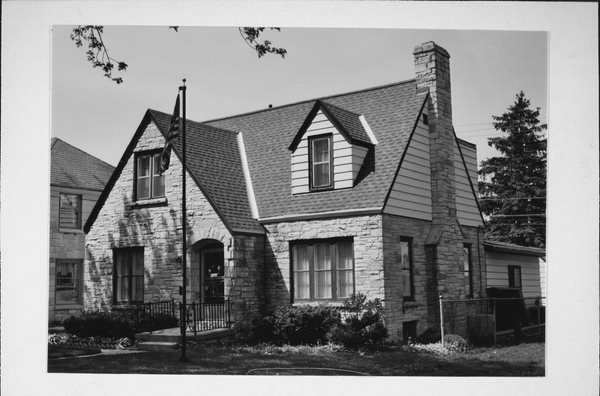 An undated photo of the house in West Allis. Photo courtesy of the Wisconsin Historical Society. The house was English style with a Lannon stone veneer and was constructed for about $6,500. Crowds flocked to see this house. 6,000 people came on just one Sunday. Today this house is knows as the Chester A. McCreedy Residence. Chester worked for the Sears Modern Homes sales office and apparently bought the model for himself. Chester and his wife Claire lived in the house until at least 1949. Sears opened their first store in Buffalo, NY in 1929, IIRC, but had four models home in the new subdivision, Sheridan Parkside in Tonawanda. The Lewiston was the first in 1930, followed by the Mitchell, Barrington and the Edgwood in 1930-31. The Lewiston and Edgwood are both gone and it looks like they were the only model homes from Sears to be built there.